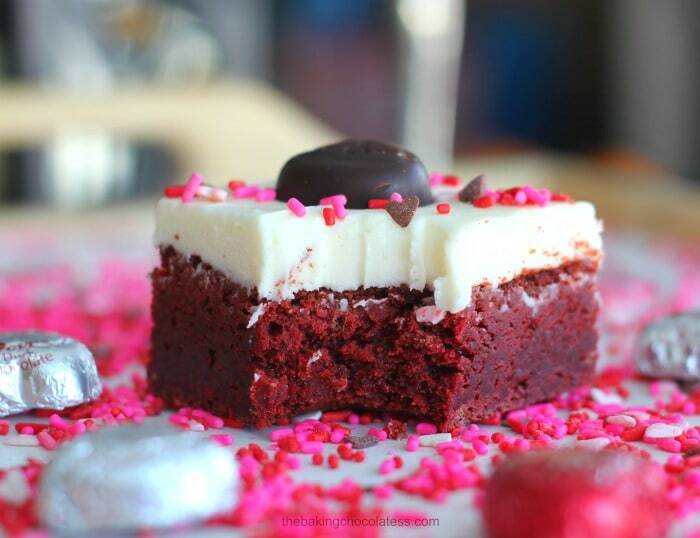 Kiss me with these decadent, love-struck Cream Cheese Frosted Red Velvet Brownies! Whoa…Is that a little too forward? Sorry! I can’t help myself! I go crazy when brownies are baking in the oven! And these, my lovelies are perfect to serve for Valentine’s Day. 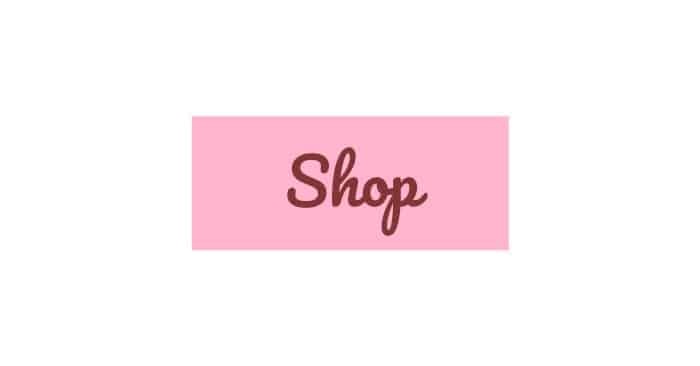 Affiliate links are used in this post with products I truly love! 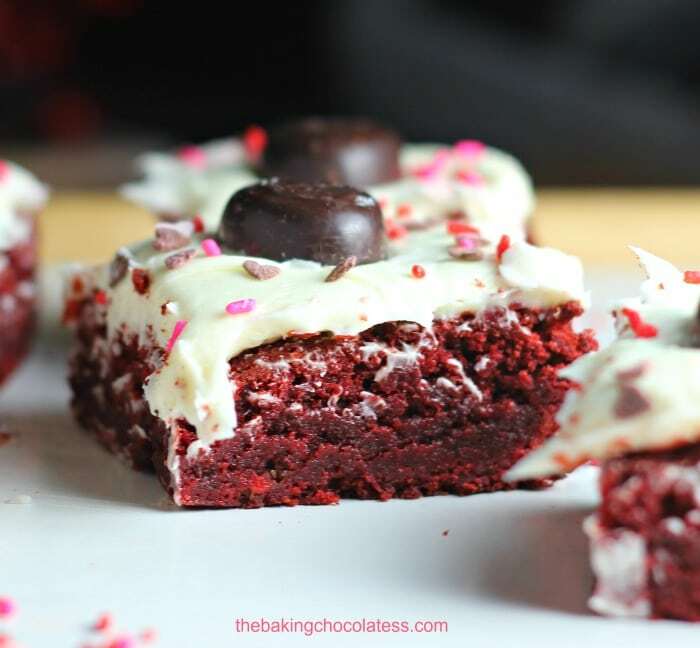 These particular red velvet brownies are very rich, chewy, moist, dense and completely over the top! 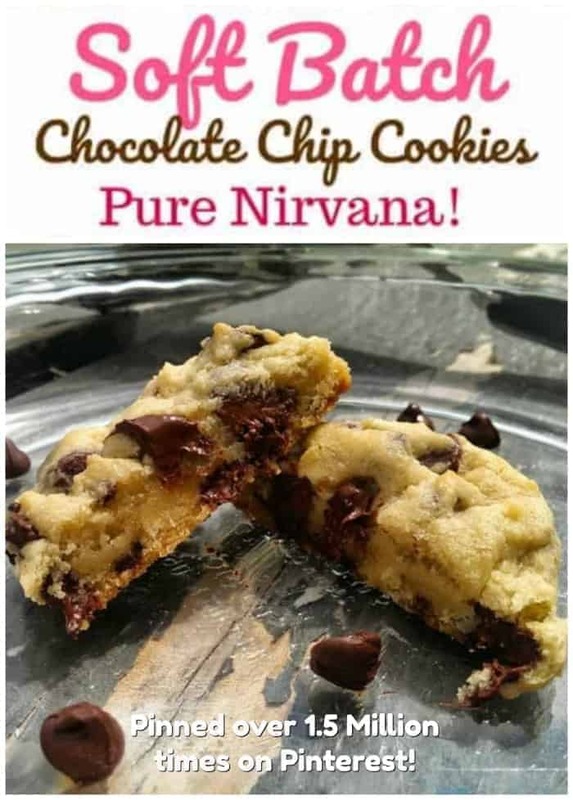 They are made with highest quality ingredients like Ghirardelli Milk Chocolate Baking Chips , Ghirardelli 100% Unsweetened Cocoa Powder and Land O’Lakes Unsalted Butter. The chocolate is superb, and the lovely red-hue of the of milk-chocolate based brownies make these brownies pop with gorgeous color. If you don’t use red food coloring, you can always leave it out. The high quality butter gives it that coveted shiny sheen on top. Yum! 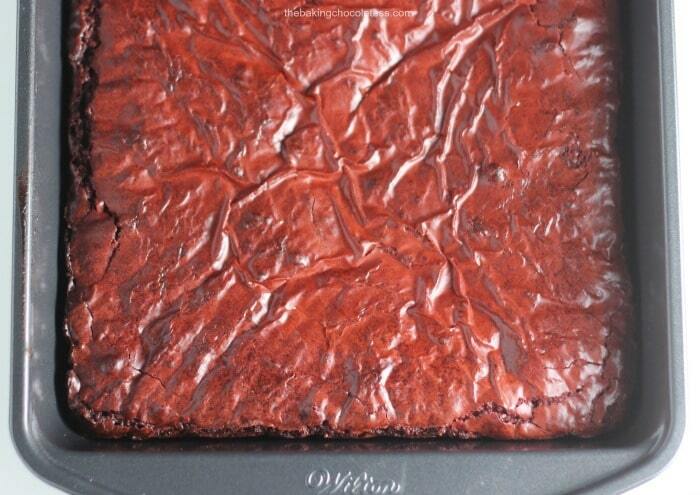 I adapted this recipe from this cookbook, Extreme Brownies by Connie Weis. 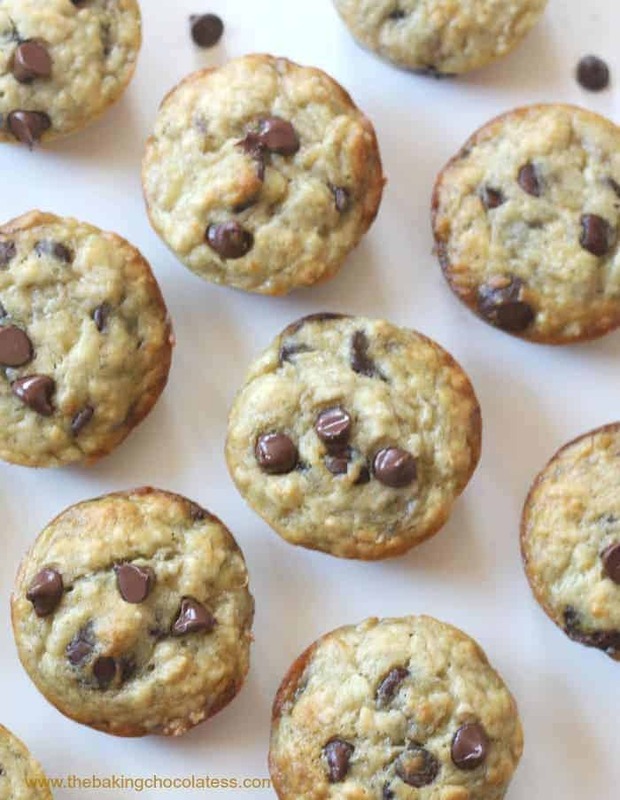 You can make these in an 8×8 , 9×9 or 9×13 pan. I made these in an 8×8 and got 9 very large brownies. 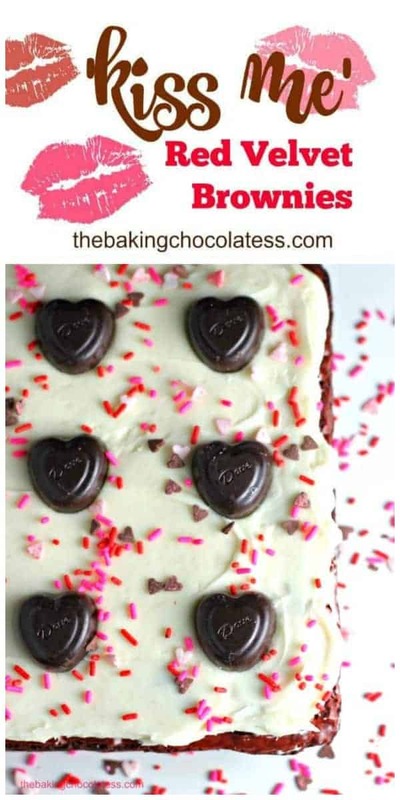 You could also cut out brownie hearts by using a heart-shaped cookie cutter after the brownies have been well chilled. Frost them individually and place a dark or milk chocolate heart-shaped Dove candy in the center. 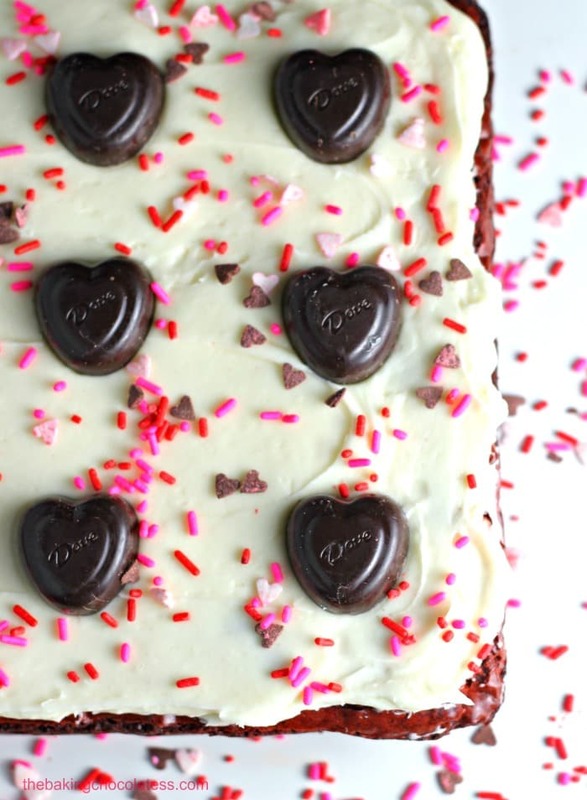 You could also add Valentine sprinkles or even drizzle with melted chocolate. 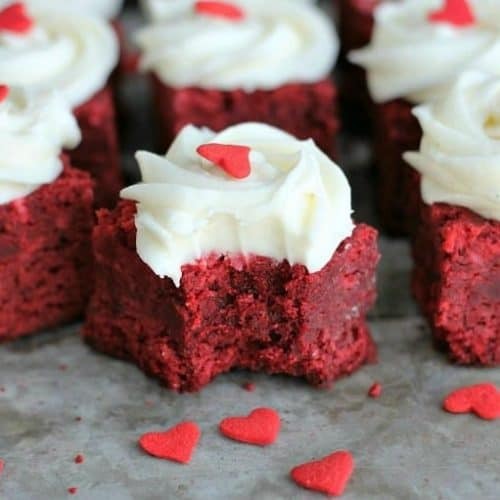 For more Red Velvet treats, try these Red Velvet Cake Donuts with Cream Cheese Frosting and this easy Nutella swirled Valentine Red Velvet Party Blast Cookie Pie and these Oreo Red Velvet Tuxedo Brownies! 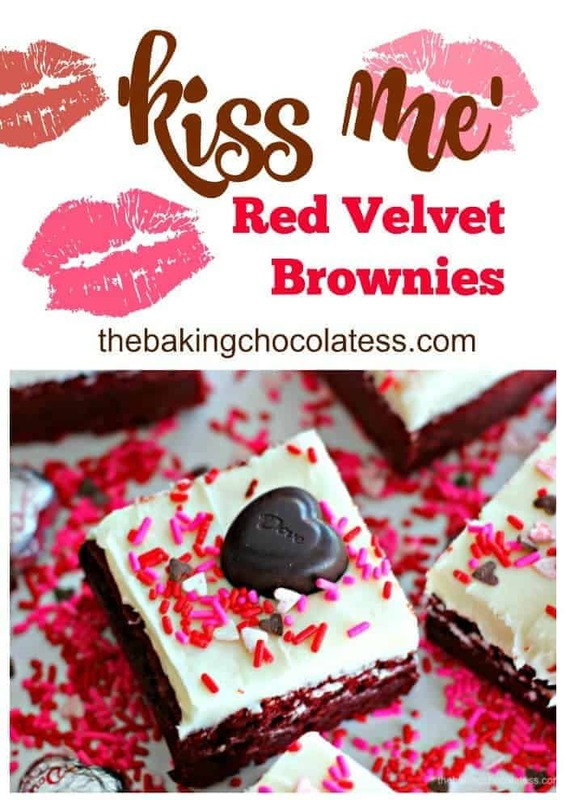 Are you ready to make these ‘Kiss Me’ Red Velvet Brownies for that someone special? 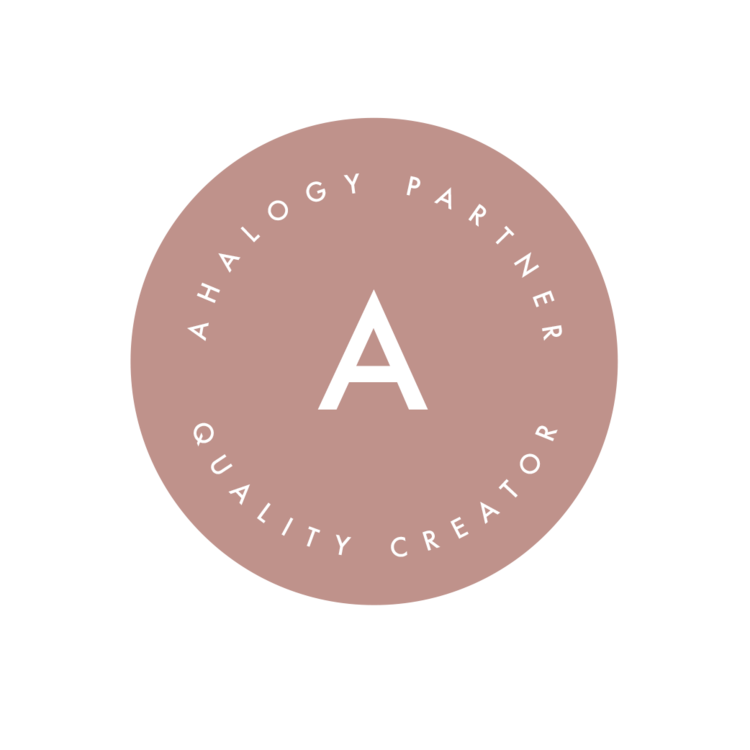 Psst…You can totally be the ‘someone special’!! Why not? 🙂 Great for parties too! 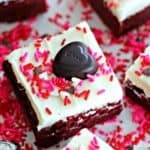 Rich, cream cheese frosted decadent red velvet brownies made with home-made love, waiting to be kissed by your lips! 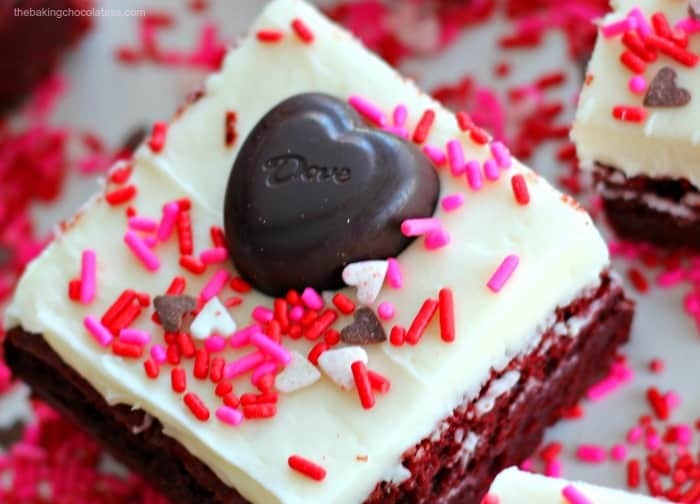 These are a Valentine's Day sweet treat sure to get some attention! Line a 9x13 baking pan with heavy-duty foil and very lightly grease the foil with vegetable shortening, like crisco. 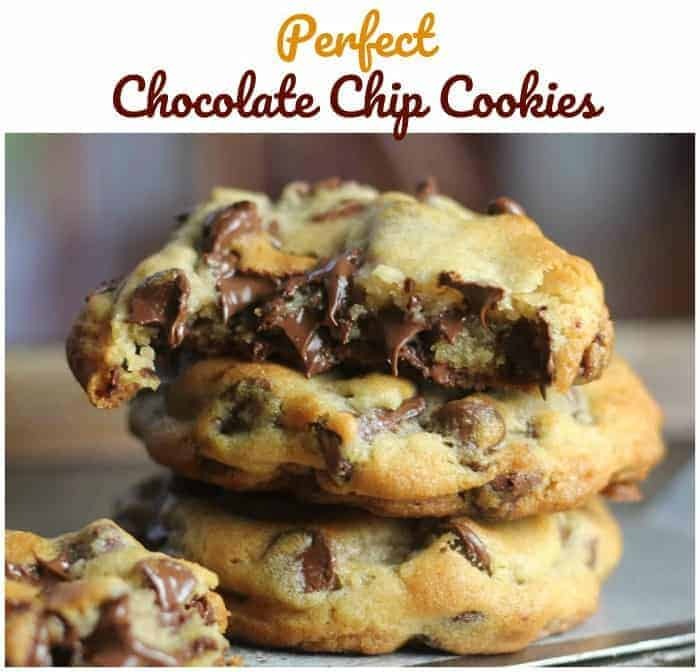 In a small saucepan, melt the butter over your lowest setting, then add the milk chocolate chips stirring constantly with a small whisk until melted and smooth. Turn off heat and let set. In a large mixing bowl, add the eggs into the bowl and lightly whisk. In another bowl, add in the sugars and salt and whisk together. Whisk in the melted chocolate into the sugar mixture, then gradually whisk in the melted chocolate until just combined. Briefly whisk in the vanilla and red food coloring. In another bowl, whisk the flour, baking powder and cocoa powder together and sift into the chocolate mixture. 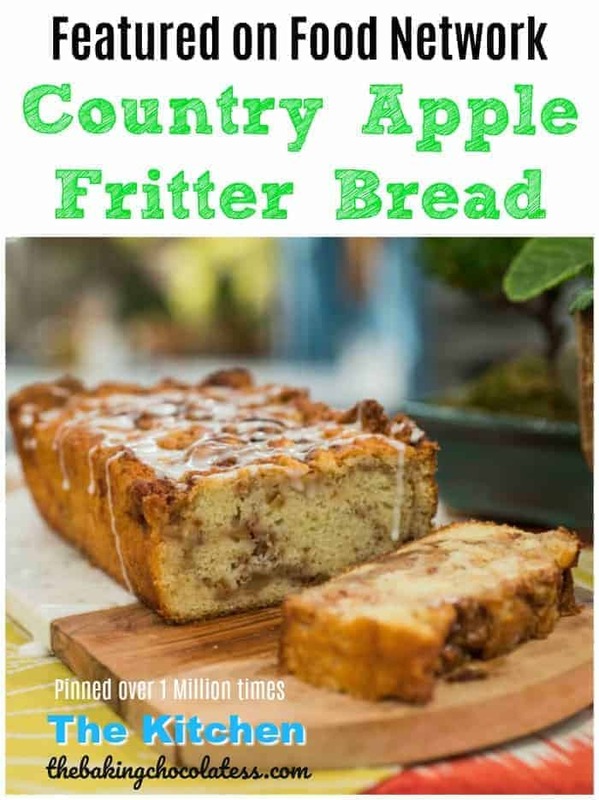 Stir with a silicone spatula and pour and spread out evenly into your prepared baking pan. Bake 40 minutes, until toothpick comes out clean and transfer pan to cooling rack and let cool for 15 minutes. Refrigerate, covered until cooled to frost. 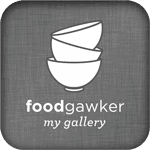 Place cream cheese, butter and salt in small mixing bowl. Using a mixer, beat on medium high until well combined. Add confectioners sugar and mix until smooth and creamy. Frost and add a Dove Candy Chocolate Heart in the center of each piece and add sprinkles. Place back in fridge until ready and let them come to room temperature about 30 minutes before serving. Can be stored up to 2 weeks. Makes 12 large or 24 smaller brownies for 9x13 pan. Oh, these look so delectable, Kim. I’d like about three of them right now! Yum! Love the brownies! Perfect for Valentines Day! Is it 1/2 cup butter or 1 1/2 cup ?